Description: With the aim of reinforcing conscious consumerism, Brazilian cosmetics, perfume & personal hygiene multinational Natura is demonstrating strong commitment to sustainability best practices and investment in innovation. Natura is reviewing its entire production chain and optimising its environmental practices – from ensuring sustainable production in the Amazon region to adapting its packaging and improving systems for disposal and recycling. Maturity of the project: Scaled-up. 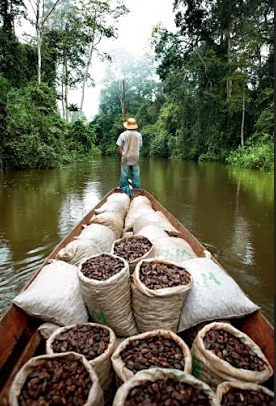 Why do we love it: As you take care of your body, take care of the environment and of the Amazonia communities too! The year was 1992 and the whole world was watching Rio de Janeiro, where Eco 92, the United Nations’ climate conference was being held. The event brought the attention of society and business to the need for environmental conservation and responsible consumption. But a certain Brazilian company had already taken its first steps toward creating a sustainable business some years before. Founded in 1969 as a small cosmetics shop in São Paulo, Natura; a multinational company that manufactures personal hygiene, beauty and perfume products, is now one of Brazil’s market leaders, and is also known as a leading reference for projects supporting biodiversity, relationships with communities in the Amazon and its studies on economic viability and the preservation of Brazilian forests. This focus on the environmental impact of its products is something that Natura has developed over time. Even though Natura has used plant-based and biodegradable raw materials in its formulas since the first years of its activities, the company only gained status for its commitment to environmental issues over the last two decades. 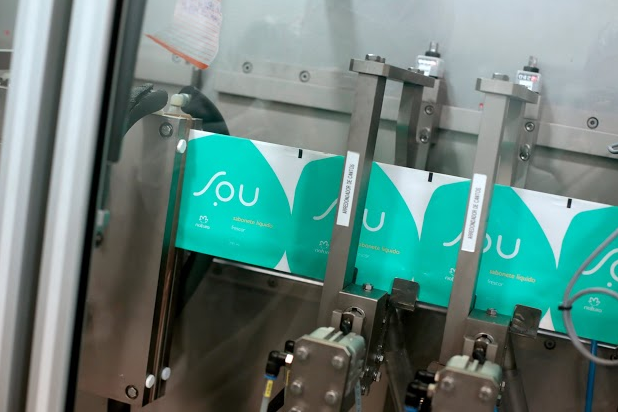 Before this, however, the company was already a pioneer in concepts like packaging reuse and transparent communication, according to Sustainability Director Marcelo Alonso. “Unlike advertising promising eternal youth, Natura brought the principle of truth to the Brazilian cosmetics market, avoiding marketing campaigns trying to achieve the impossible.” In 1983, the industry began offering refills for deodorant packaging. The idea was to use less raw materials and offer cheaper alternatives for customers: the refills cost, on average, 30% less than the original packaging. Starting in 1990, Natura began to become more involved in researching questions such as the Brazilian biome, education projects and development in the Amazon region. 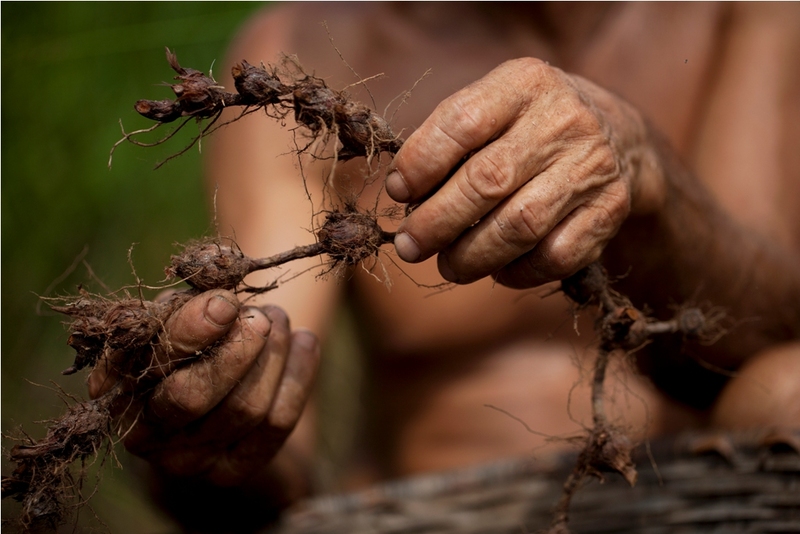 Today, 2,000 riverine families and small farmers supply raw materials to the company; collecting or carrying out sustainable farming of ingredients from the Brazilian flora. “Aside from feeding the local economy and paying a fair price for the product, we showed the community that it’s important to preserve the forest so they can maintain their source of income,” affirms Alessandro Mendes, company director of product development. One of the partner communities is Cotijuba, in Pará, northern Brazil. Cotijuba is an island with 10,000 inhabitants where commerce and agriculture are the main activities. Women are the most vulnerable social group—90% receive social assistance from the government and most are unable to finish school. A contract signed with Natura in 2002 for the farming of priprioca—an aromatic seed from the region used in soaps, oils, perfumes and other products in the company’s porfolio—employs 10-17 families on the island every year, guarantees purchase of production and generates income for the community. 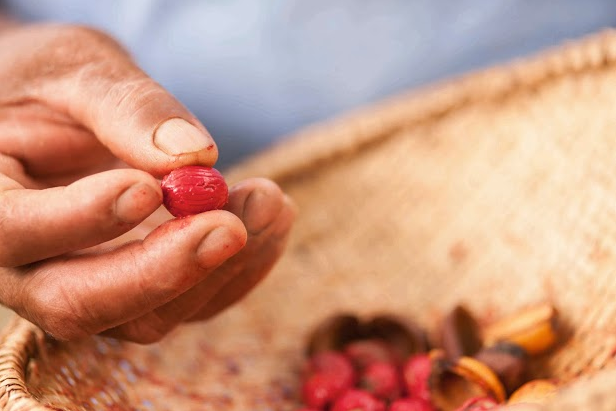 Seven years later, another proposal for the extraction of seeds from the ucuuba tree, threatened with extinction due to the exploitation of its wood, created an opportunity for women on the island to get involved in its sustainable harvest. Today, the seeds are worth more than the trees’ trunks. “Our goal was always to bring gender equality to the community, and this agreement changed these women’s lives. 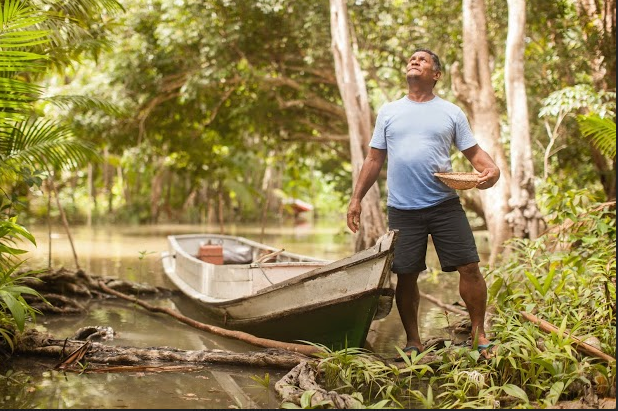 Many now have access to their own money, motivating them to change their lives, seek out education and gain autonomy,” affirms Adriana Lima, leader of MMIB, the Belém Islands Women’s Movement which supplies ucuuba, the main ingredient of a strong hydrating butter, and priprioca to Natura. But guaranteeing that the extraction is sustainable requires investment in research and training. Alessandro Mendes explains that a team of agronomists and anthropologists is responsible for mapping the region’s biodiversity, for partnerships with local associations and for training the farmers who collect or plant the raw materials. “Every month, we do consulting and audit the process. We have to guarantee, for example, that only 30% of the seeds from a certain species are collected from the ground in order to guarantee its reproduction,” he says. This includes species threatened with extinction, which are also targeted for reforestation projects. But the greatest challenge to production chain sustainability isn’t in the extraction of raw materials. “Packaging is still the worst villain in the consumer goods industry because it doesn’t disappear,” affirms Mendes. Refills for products like deodorants, shampoos and conditioners are still an alternative for reducing environmental impact, but the company’s priority continues to be recycling, reuse and the use of more renewable materials. Last year, Natura launched a perfume refill completely made of post-consumer recycled PET, and its Ekos line, one of the brand’s largest, already uses the material in 50% of its packaging on average. Some perfume lines also use recycled glass and green polyethylene; a renewable material made from sugarcane. “One of our weak points is the underdeveloped recycling chain in Brazil, which doesn’t allow us to plan on a constant supply of recycled raw materials,” explains the product development director. Another big challenge is maintaining the sustainability strategy in a scenario that mixes fierce competition with economic slowdown. Last year, Natura’s sales fell by 3.5%, adding up to R$ 1.73 billion. Overseas, it saw 21.6% growth, to R$ 447.2 million. Brazil is the second largest consumer market for cosmetics and the largest for perfumes, making it a target for investment by Natura’s main competitors, not all of which are invested in the social-environmental agenda. Last year, Natura lost 1.4 percentage points in market share and saw a 13% drop in net profits as compared to 2013; numbers which also reflect the crisis affecting the country. Sustainability indices like water consumption and gas emissions also suffered in this scenario, rising by 11% and 2.2%, respectively. “We have fixed water and power costs independent of production, so when production drops, average consumption increases,” explains Mendes. Director of Sustainability Marcelo Alonso says that the company continues to be committed to maintaining its policies for waste reduction and is defining aggressive targets for the coming years. Natura plans to reduce carbon emissions by 33% and collect 50% of all packaging for recycling by 2020. Over the same period, the number of families involved in production in the Amazon region is expected to reach 10,000, and the amount spent on purchase of products from this biome is expected to grow to R$ 1 billion. “Our goal is to stop being a company that mitigates its environmental impact and begin generating positive results. The goal for 2050 is to give back more than we consume,” affirms Alonso. Nous étions en 1992 et tous les regards se tournaient vers Rio de Janeiro, qui accueillait l’Eco 92 – la conférence sur le climat de l’Organisation des Nations Unies ayant attiré l’attention des sociétés et des entreprises sur la préservation environnementale et la consommation responsable. Toutefois, quelques années auparavant, une entreprise brésilienne se lançait dans la création d’une affaire durable. Fondée en 1969 sous la forme d’un petit magasin de produits cosmétiques à São Paulo, l’enseigne Natura est aujourd’hui une industrie multinationale dans le secteur de l’hygiène personnelle, des produits de beauté et des parfums. Elle est actuellement l’un des leaders nationaux et une référence au niveau des projets de valorisation de la biodiversité, des relations avec les communautés amazoniennes et des recherches de viabilité économique et de préservation de la flore brésilienne. Néanmoins, le souci de l’impact environnemental des produits ne s’est fait que progressivement. Bien qu’elle utilise des matières premières végétales et biodégradables dans ses formulations, et ce depuis ses premières années d’activité, ce n’est qu’au cours des deux dernières décennies que Natura a acquis le statut d’entreprise engagée envers l’environnement. Avant cela, d’après les propos de Marcelo Alonso, directeur de la durabilité, l’entreprise était déjà pionnière dans certains concepts tels que la réutilisation d’emballages et la communication transparente. « Contrairement aux publicités promettant la jeunesse éternelle, Natura a apporté au marché brésilien le principe de la vérité en cosmétique, sans avoir recours à des campagnes marketing visant l’impossible ». En 1983, l’industrie a commencé à vendre des recharges pour les emballages de déodorants. L’idée était donc de consommer moins de matières premières et d’offrir des alternatives plus abordables aux clients – les recharges sont en moyenne 30 % moins chères que les emballages d’origine. C’est à partir de 1990 que Natura a commencé à s’engager de plus en plus dans des domaines comme la recherche du biome brésilien, les projets de soutien à l’éducation et le développement de la région amazonienne. Aujourd’hui, 2 mille familles de riverains et de petits agriculteurs fournissent les matières premières à l’entreprise grâce à la cueillette ou la plantation durable d’ingrédients de la flore brésilienne. « Outre le fait de promouvoir l’économie locale et de payer le produit à un juste prix, nous montrons à la communauté qu’il est important de préserver la forêt afin que ses membres puissent maintenir leur source de revenus », affirme Alessandro Mendes, directeur de développement de produits de l’entreprise. La communauté de Cotijuba, à Pará, dans la région nord du pays, est l’une des communautés partenaires ; c’est une île de 10 mille habitants dont les principales activités sont le commerce et l’agriculture. Les femmes sont le groupe social le plus fragile – 90 % d’entre elles reçoivent une aide sociale du gouvernement et la plupart n’arrivent pas au bout de leurs études. Un contrat conclu en 2002 avec Natura pour la plantation de Priprioca – une graine aromatique de la région que l’on retrouve dans des savons, des huiles, des parfums et dans d’autres articles de l’entreprise – permet d’employer chaque année entre 10 et 17 familles de l’île, assurant ainsi l’achat de la production et la génération de revenus pour la communauté. Sept ans plus tard, grâce à une autre proposition, visant l’extraction de la graine d’ucuuba – un arbre en voie d’extinction en raison de l’exploitation agressive des troncs – les femmes de l’île ont pu jouir d’une opportunité de cotisation durable. Les graines valaient alors plus que le bois. « Nous avons toujours eu pour objectif d’œuvrer pour l’égalité des sexes au sein de la communauté. Ce partenariat était donc synonyme de changement pour les femmes. La plupart d’entre elles gagnent désormais leur propre argent, sont enthousiastes et changent de vie ; elles cherchent à faire des études et gagnent en autonomie », affirme Adriana Lima, leader du Mouvement des femmes des îles de Belém (MMIB), fournissant l’ucuuba (le produit de base d’un beurre à haute teneur hydratante) et la Priprioca à Natura. Néanmoins, assurer l’extraction durable requiert un investissement en recherche et une formation. Alessandro Mendes affirme qu’une équipe composée d’agronomes et d’anthropologues est tenue de planifier la biodiversité de la région, via les partenariats avec les associations locales et la formation des agriculteurs responsables de l’extraction ou de la plantation des matières premières. « Tous les mois, nous conseillons et contrôlons le processus. À titre d’exemple, afin d’assurer leur reproduction, nous devons garantir que seules 30 % des graines d’une certaine espèce seront cueillies au sol », explique-t-il. Cela inclut les espèces menacées, qui font également l’objet de projets de reboisement. Toutefois, en ce qui concerne la durabilité de la chaîne, l’extraction de la matière première ne représente pas le principal défi. « L’emballage demeure le grand problème de l’industrie des produits de consommation, car il ne disparaît pas », affirme Mendes. Les recharges pour les produits tels que les déodorants, les shampooings et les après-shampooings sont toujours l’une des alternatives permettant de réduire l’impact environnemental. Mais la stratégie de recyclage, de réutilisation et de recherche de matières premières renouvelables reste la priorité de l’entreprise. L’année dernière, Natura a lancé une recharge pour parfum 100 % à base de PET issu de la post-consommation. La ligne Ekos, l’une des plus importantes de la marque, utilise déjà, en moyenne, 50 % de ce matériau dans ses emballages. Certaines lignes de parfumerie utilisent également le verre recyclé et le polyéthylène vert, un matériau renouvelable à base de canne à sucre. « Au Brésil, l’une de nos fragilités est la chaîne de recyclage qui est peu développée. C’est pourquoi nous ne pouvons nous fier à un approvisionnement constant de matière première recyclée », explique le directeur de développement de produits. Un autre grand défi consiste à poursuivre la stratégie de durabilité dans un contexte où la concurrence directe et le ralentissement économique se mêlent. L’année dernière, le chiffre d’affaires de Natura a baissé de 3,5 %, soit 1,73 milliard de réais. Sur les marchés internationaux, une croissance de 21,6 % a été constatée, soit 447,2 millions de réais. Considéré comme le deuxième plus grand marché consommateur de cosmétiques et comme le premier en parfumerie, le Brésil est la cible des investissements des principaux concurrents de Natura, pas forcément engagés dans la cause socio-environnementale. L’année dernière, Natura a perdu 1,4 point de pourcentage en terme de participation de marché et a enregistré 13 % de bénéfices nets de moins qu’en 2013. Ces chiffres sont également influencés par la crise qui affecte le pays. Dans ce contexte, les indices de durabilité, comme la consommation en eau et les émissions de gaz (qui ont connu une croissance de 11 et 2,2 %) ont souffert. « Étant donné que nous avons une dépense fixe en eau et en énergie, et ce indépendamment de la production, lorsque notre activité baisse, la consommation moyenne augmente », explique Mendes. Le directeur de durabilité, Marcelo Alonso, explique que l’entreprise s’engage à poursuivre des politiques de réduction des déchets et à définir des objectifs plus ambitieux pour les prochaines années. D’ici 2020, Natura prétend réduire de 33 % les émissions de carbone et recueillir 50 % des emballages pour le recyclage. D’ici là, on prévoit que dix mille familles seront impliquées dans l’activité de production dans la région amazonienne, tandis que le montant investi dans l’achat de produits provenant de ce biome doit s’élever à 1 milliard de réais. « Nous souhaitons ainsi générer un résultat positif, plutôt que de simplement atténuer notre impact environnemental. Notre objectif pour 2050 est de créditer plus que ce nous consommons », déclare Alonso.